I run a small, University Planetarium where we (I) give free shows to the students and whatever guests happen to come by. I must say that SpaceEngine has been a dream come true in terms of being a one-man planetarium show! Down to business; after impressing the Deans, President, and plenty of students I am going to be purchasing a new computer and I wanted to know how I can maximize the resolution that I can take recordings at. Is there any way to record the screen at a resolution greater than what my main monitor can display? In a perfect world I would shoot for 4K, but even if I could get 2K, it would be beautiful on the big screen. The trick is that I do not have a very high definition monitor yet, so I would like my shows ready for when we do buy a better one. Edit: The best solution I've found to this problem is Infinite Screen, a tool that allows you to navigate spaces much larger than your displays resolution, and even set programs to custom resolutions. Should allow you to accomplish your goal. Excellent! That's exactly what I need! Thank you so much! It's also possible to use a multiple monitor setup (if your graphics card supports it). I have three monitors and I can run SE in 5760x1080. It still runs at around 100 fps. Well, I feel it's time to create a custom screenhot GUI, where you can set up any resolution. It would be nice to see the GUI while recording just the SE environment. Also yeah being able to view at one resolution, but record at a much higher one would be incredible! But for now, Infinite Screen works wonders. I'm able to set the resolution of any program to be whatever I want, including recording SE at 4000x4000, and the way I can navigate windows is pretty stinkin cool; I recommend trying it sometime. It would be nice to see the GUI while recording just the SE environment. This will be implemented in the upcoming version. This is a bit of thread necromancy, but I'd like to ask UniversalAwareness or any planetarium person who happens by if they project SpaceEngine on the big dome, or just a flat rectangular view? I found that I could record fisheye projections (180 degree and full 360) at at least 6000x6000 with non-slideshow FPS and transform the recordings into some spectacular equirectangular projections (not suited for internet streaming because they're like 10MB/s, but viewable locally) like my first test at http://richardjhacker.com/v/vpan/. 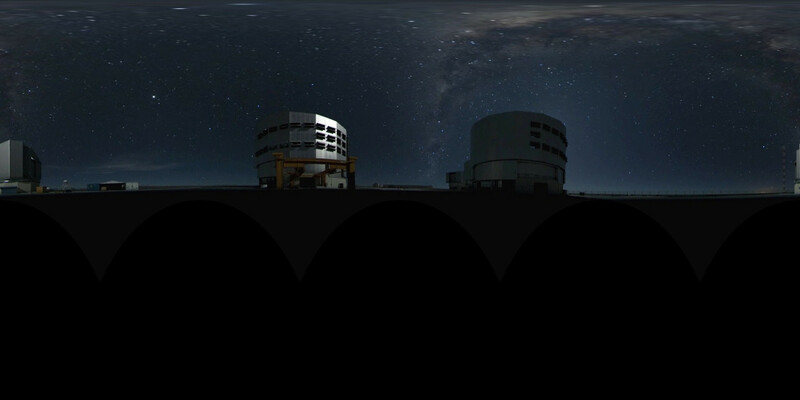 But I would very much like to see a 180 FOV projection go up on a big planetarium dome projector or projector array. I think that it should be possible to convert a SpaceEngine video to a laser projection of the detected edges, too (I really have no idea). Yessir, I've started recording shows for the dome. At the moment they're all free shows to anyone who comes in, I just don't post them online because I don't own the rights to the music (but I did buy the tracks). I have done some 4K recording with the program mentioned above, but I'm waiting on a better computer before I start making full scale productions. That recording was amazing! The music was great, and I love videos that let the user look around. Have you ever filmed one, or do you mainly edit them? I'm interested in making one for my summer research. Also, do you know of a way to do these in HTML5 for use with mobiles? That would be neat. Either way, keep it up man, those videos are great. I recommend reducing your galactic magnitude threshold in one of the F5-F8 menus (I think its F7, but not sure) to remove the galaxies which keep flashing. I usually set it to be around 0 when I'm in fisheye, to work around that particular bug. 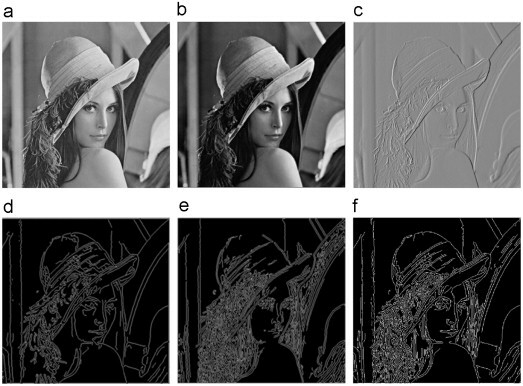 I looked into the laser shows, and the idea that comes up first is to take a video, apply edge detection in your editor of choice. SpaceEngine is amazing in the planetarium, to be able to fly around the Universe on a 10-meter dome is an quite the experience. Because both the OpenCV remapping and edge detection algorithms are available for the GPU, quickly producing a video for optical or laser projector directly from SpaceEngine wouldn't even be that painful. Realtime with any more than 10 FPS? Yes, but not ideal for interactive use unless I am underestimating the capability of graphics cards. I have a single GTX 680, and SpaceEngine runs at 2000x2000 360-degree fisheye at ~15 FPS. I am sure that SpaceEngineer could code support for some of these processes within the engine (it is the same kind of coordinate mapping involved in producing the existing fisheye projections), but these uses seem marginal, time-consuming, and don't really contribute to its development as a game platform (but of course I think they are cool and educational for me, which is why I care). If I finish it, I'll be sure to share it on this forum, for the 2-3 people who may benefit! I was using an older version of SpaceEngine there with those bugs, and I think that I have the proper settings for an error-free recording now (except that the fundamental projection system relies on transforming six separate perspectives like a reverse environment map, so things like default lens flares don't work). I also have been working on a longer, much more refined and better composed video using a similar technique, so check back in a couple weeks if interested. Making a real-life panoramic video is surprisingly easy and does not require a complicated camera array. All you need is two cameras with 182-190 degree circular fisheye lenses (exactly 180 degrees will result in vignetting and loss of detail at the seam). They do not need to be particularly high-quality cameras unless you are doing still panoramic photography. If you're doing still photography, you could just use one camera and make a mechanical tripod rig for flipping the camera 180 degrees. Put a little pencil mark at 180 degrees on both sides and there you have it. 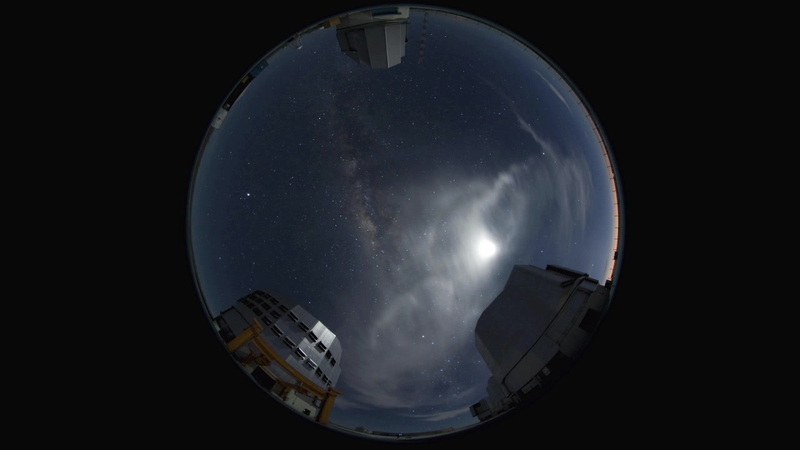 I tested one method on a timelapse fisheye video from the Very Large Telescope at Paranal, original at http://www.eso.org/public/videos/vltandvstfisheyetimelapse/ (credit to them for recording this). As long as the cameras are faced precisely opposite and the frames are synchronized, you can put them on the end of a stick, start recording videos, and process the resultant frames individually. Had the photographer wanted to photograph a timelapse of the ground, that hemisphere could be included by clopping the resultant images together at the horizon. The edge distortion is really not bad. I believe that this can all be done in realtime on a PC, allowing for streaming 360-degree interactive video without too much payware. This should cost you about 700 USD for cameras, lenses + stick and duct tape. This sort of thing has been done very well professionally (see http://www.e-rent.de/spherivids-technik.htm). There is no reason that the hardware needs to cost as much as a decent new automobile though, I think. There are doubtlessly programs which can perform realtime remapping of video inputs, but frankly I don't know how to use them, don't know that they exist, or I assume they are too expensive. I'm just trying to learn. UniversalAwareness, I'd be interested in seeing a video of the dome projection in action, if possible. And if you ever want to compose a panoramic video for your shows, research, or other distribution, I could post the details of how I hacked it together. Brilliant! I'll post a tutorial of how to run it in the planetarium in a new thread, this one has just started to veer completely off track. I also work at my university's planetarium and have just been projecting straight to the dome without warp since I haven't been able to test the system you (Unviersal Awareness) mentioned to me on reddit yet due to lack of competent hardware. straight projection works well enough, and is by far better for showing the true scale and glory of the universe in a seemless fashion than any other program we have access to. It does run into limitations whenever you zoom in too close to any object. This program warped correctly would be truly astounding and would replace all of the software my planetarium currently uses to do solar system tours to full universe tours. I'm using a spheric mirror projection system. I will try to grab a couple pictures of how the program looks unwarped on the dome in the near future.